Carpets may be a terrific way of covering the floors in your home or office, but this does not mean that carpets do not demand maintenance. Just like any other object in your home, carpets need to be tended to in order to lengthen their lifespan as much as possible. The more you clean and care for your carpets, the less chance there will be of having serious and permanent carpet damage. However, at some point, your carpets will need thorough and professional carpet treatment, which is something Carpet Cleaning San Diego knows all about. Vacuuming is the Number One Key to Clean and Dust Mite Free Carpets - the more often you efficiently vacuum your carpet, the less likely they will need serious treatment. It is recommended to vacuum your carpet, with a powerful vacuum cleaner, at least once a week, preferably twice a week. There should not be a single spot missed while vacuuming, including those hard-to-get-to spots. Rake Before you Begin Vacuuming - it is best to go over the carpet with a rake. 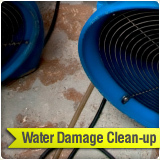 This loosens any large particles such as pet hair that may have gotten stuck in the carpet. The vacuum cleaner can then have easy access to these larger particles and work more intensely on the finer ones such as dust and dirt that have sunken into the carpet. Areas that receive traffic more frequently should be vacuumed more often. Call on Professional Carpet Cleaning - it is not only important to properly care for your carpets so that they always look their absolute best and so that serious stains do not set, but it is equally important to care for your upholstery, furniture, curtains, and rugs. Our carpet cleaners can take care of all of these cleaning treatments and much more because we see to it that even the smallest stain is treated. 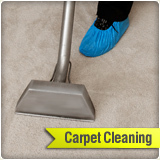 We offer the most professional carpet cleaning in San Diego. Remove Carpet Stains and Spills Immediately - another important tip when it comes to maintaining your carpets' good looks is removing carpet stains and spills as soon as they happen. This prevents stains from setting making it extremely difficult even for professional cleaners and cleaning supplies to remove. Make sure to remove all spills and stains as soon as they occur, avoiding rubbing the spot all the while. This will just worsen the damage and may even cause a permanent white mark. 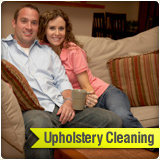 The same treatment (mentioned above) applies to rug cleaning and upholstery cleaning. Liquids that have spilled should be cleaned up using a soft towel and solids should be scraped up with a spoon or some sort of knife with a blunt palette to avoid tearing the carpet's surface. These actions will help prevent the need for stain removal treatment in the near future. Only mild stain remover agents should be used, as ones with harsh chemicals can potentially harm the carpet. 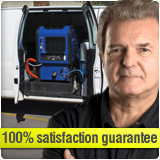 Any sort of carpet cleaner product should not be used to often on the carpets. Digging and brushing spots on the carpet should be avoided as well. 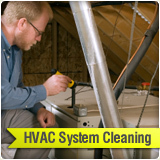 Cleaning your carpets often and thoroughly can help prevent asthma and allergy reactions. This is especially important if you have children or individuals with respiratory problems in your home. 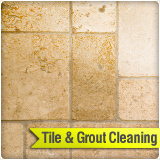 It is wise to invest in a quality steam cleaner and use it for steam cleaning carpets every so often. 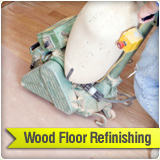 The most effective way of keeping stains and filth away from your carpets is prevention. By placing a mat by the entrance of your home, you can get rid of most of the dirt that would have otherwise made its way onto your carpets. However, there is only so much one can do and at some point, you will need to properly treat your carpets, which is when we should be contacted. 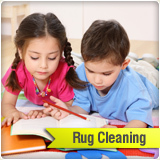 Carpet Cleaning San Diego offers high quality and professional cleaning services that will leave your carpets looking as good as new.